Home » clarion » Pictures » Inuyasha smells trouble! 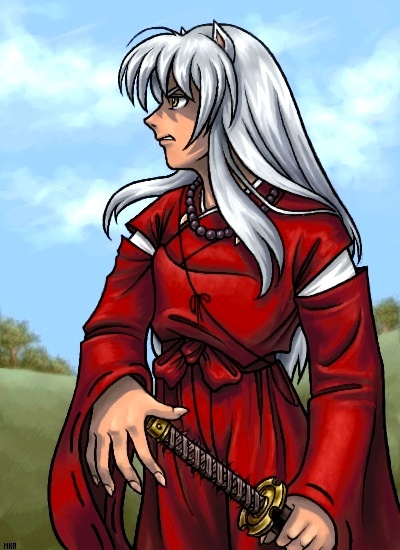 An oekaki of Inuyasha. Looks like he's getting ready for a fight! ^ ^ OMG!!! THAAAAT IS OFF THE HOOK! WHOA!!!! good job! AWEOSME PIC!!!! IT LOOKS GREAT!!!! The shading rocks, but the hands... O_o they're... so... HUGE!!! some of the best art on FAC ^_^ love the choice of colors in this picture, and the pose is very original for the character!! HOLY COW!!!!!!!!!!!!!! Damn thats good!!!!!!!! totally awsome! YOU ROCK!!!!! !